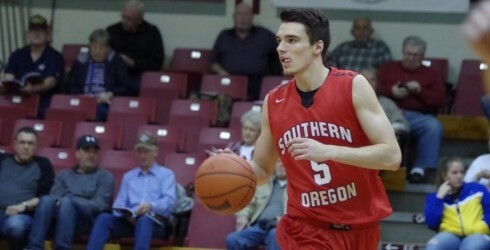 The Southern Oregon men’s basketball team conquered crunch-time in the opening weekend of Cascade Conference play, defeating Corban University 86-84 on Saturday and Northwest Christian University 80-75 on Sunday. Confidence should be high then as there was no shortage of big-time ‘plays’ made this weekend at Ashland High. 20 seconds from defeat Saturday night and facing a six point deficit, Kenny Meyer knocked down a triple. Clay Sierra, who had 10 points and eight rebounds, made another big play, stealing the ensuing inbounds pass, and setting up a final play for SOU. With 0.2 seconds left on the clock, Joel Spear miraculously got his own three-pointer over the Corban defender’s outstretched hand to fall to send the game to overtime. 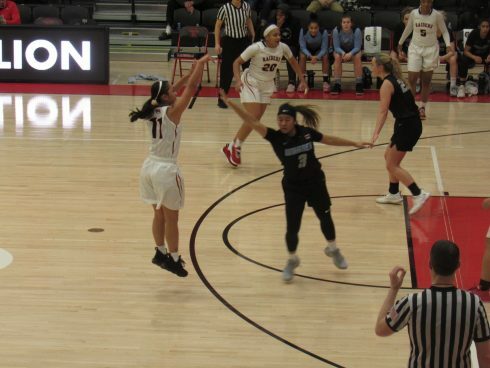 A back-and-forth overtime ended with a Jordan West corner three-pointer with four seconds remaining. The Raiders were led by a career-high 25 points from Spear and 21 from Ben DeSaulnier. 28 of those 46 points were scored after halftime. Corban shot 6-7 from three-point range and 72% overall in the second half, but couldn’t overcome 14 turnovers leading to 25 Raider points. 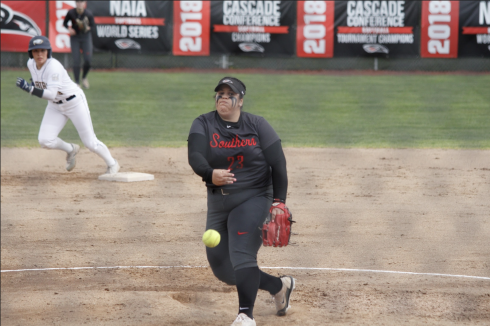 SOU had to overcome a similar turnover battle in the first half against Northwest Christian on Sunday. The Raiders faced an eight point deficit at halftime Sunday, after committing 12 turnovers. SOU cut the turnovers to six in the second half. Overcoming that struggle, McDermott says, was key to the victory. It wasn’t just the turnover adjustment that made the difference. Spear and DeSaulnier were brilliant again late, scoring a combined 32 points in the second half. West and Sierra chipped in with 12 and 10 points respectively. The Raiders shot the ball well in the game, finishing with 61%. They also held NCU to 44% shooting.